Hello and welcome to Dayspring Quilt Company. My name is Mavis Reynolds and I am a quilter, pattern designer and a long arm quilter. 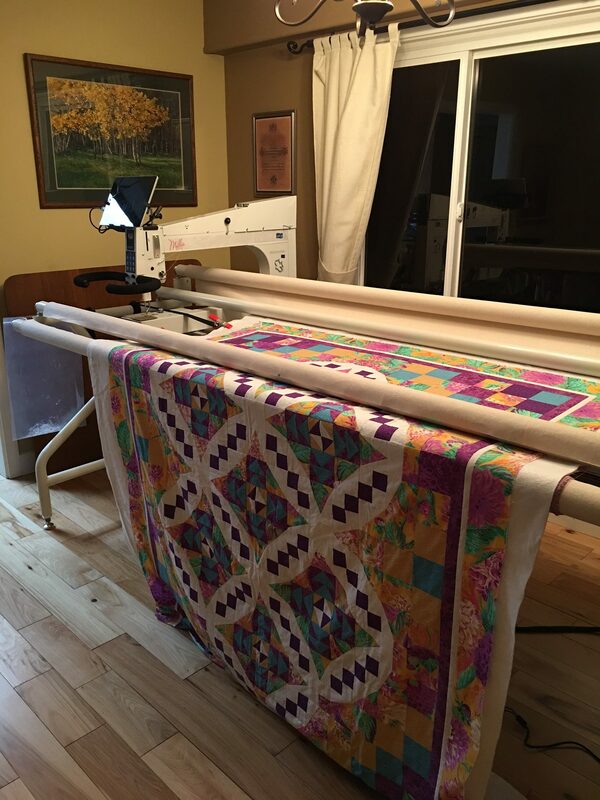 I proudly quilt on an APQS Millenium with Quiltpath. My daughter has recently joined me on this quilting journey and I couldn't be more thrilled. We accept quilts by mail or in person by appointment. I live in beautiful Brentwood Bay, British Columbia with my hubby and son and two furry kids, Cooper and Sophie, our 5 year old Jack Russells. Please visit my Long Arm Quilting page for details on our services. We are big fans of GLIDE thread by Fil-Tec and are pleased to announce that we have just added it to our inventory. Visit our SHOP to see all the delicious colours we now have available for local pickup in Victoria or by mail order. I hope you enjoy my website and my blog and check back regularly for new patterns and quilty posts.